We’ve loved creating a community of women that have struggled with baby loss (miscarriage or infant loss) and/or delayed fertility. And while our community is comprised of women who have felt loss in varying degrees, our hope and identity is still in Christ. This year, we are dedicating our contribution to National Infertility Awareness Week to raise awareness to God’s faithfulness and his incredible redemption. We are committed to share the stories of his goodness despite the pain and loss we’ve endured. 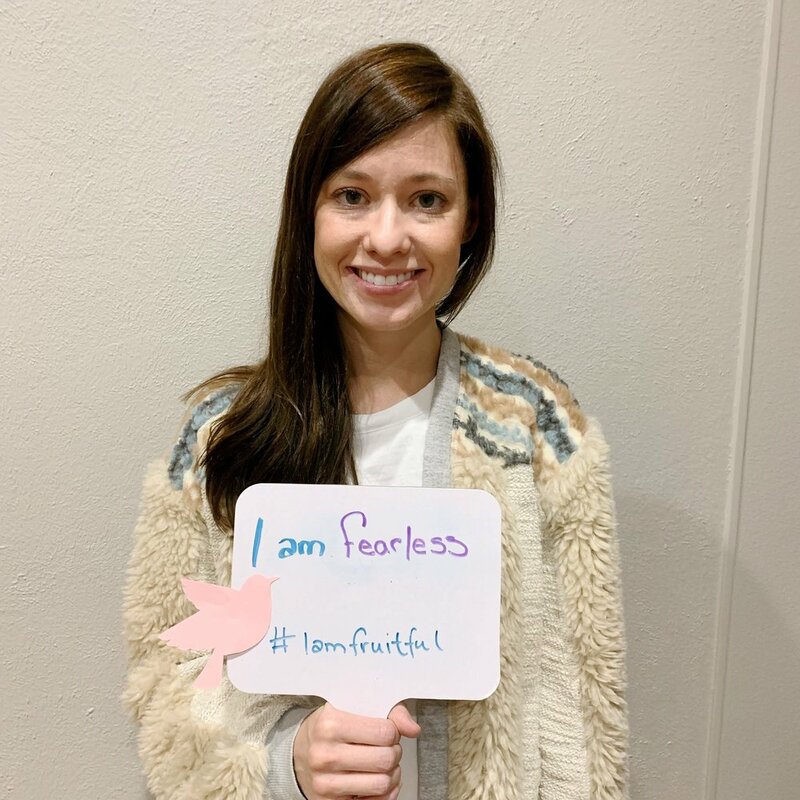 Take a photo with an “I am” statement. You can hold a sign, wear a shirt, stand in front of a banner, hold a mug, or write it in the sand! Include #iamfruitful on your sign. In the contents, share more of your story. Post to Social Media and don’t forget to include to tag us @i.am.fruitful! We have prayed for a pregnancy for over 5 years, but infertility is not my identity. God has redeemed our desire for a biological child with the growth of our family through adoption. We are still hoping and praying for a bio child, but in the meantime, God has expanded my heart to care so deeply for adoption and foster care. I have walked through 3 miscarriages that left me with a lot of questions about my body, but I never questioned God’s faithfulness to fulfill my desire to be a Mother. Scripture teaches us, don't be afraid, stand firm, be bold. Growing up, I was hardly any of those. I let fear grip me and I'm sure the enemy just loved sitting back watching me unravel myself. The great part about my gentle God is that he used those moments to bring me to my knees and built me back up in truth. I'm stronger and more powerful than ever before knowing he has given me a mighty strength and nothing can conquer that power. I have had three miscarriages and two pregnancies resulting in my beautiful baby boys. 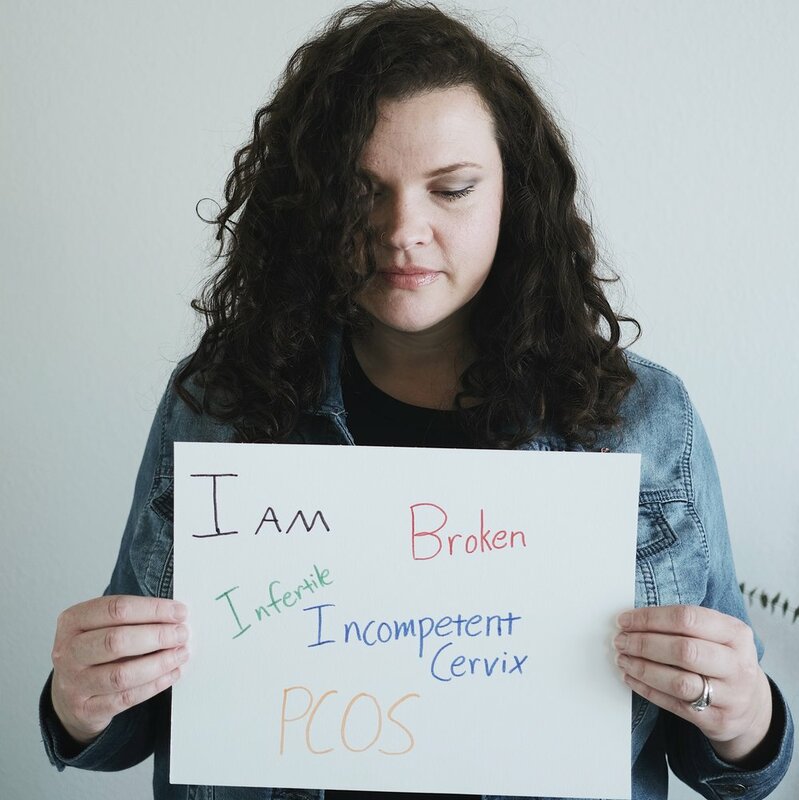 While the heartbreak of my miscarriages is something that will never leave me, what I remember most about my journey to become a mom was the paralyzing fear of pregnancy after loss. Create your own inspirational graphic for NIAW (we love OVER and Word Swag). Share your story on Facebook Live or Instagram Stories. Host a dinner in your home for all the friends and family who have supported you through infertility. Email our free devotional for the two-week wait to a friend or share it on Facebook! Submit your prayer need and let our Prayer Team partner with you! SPONSOR a woman to attend baby loss retreat. Give Joy Comes in the Morning: Coloring Through Infant Loss and Miscarriage to a friend (or buy one for yourself)! There are 3 pages that are specific to loss, but the rest are uplifting, hope-inspiring scriptures, words, and quotes. Host a creative get-together with friends. Print this free coloring page or buy adult coloring books. Paint, color, and maybe throw in some wine! Use the night as an opportunity to share your story and invite your friends along this journey with you. Sign up with your email address to receive news and updates after NIAW is over. Get connected with us on Instagram!